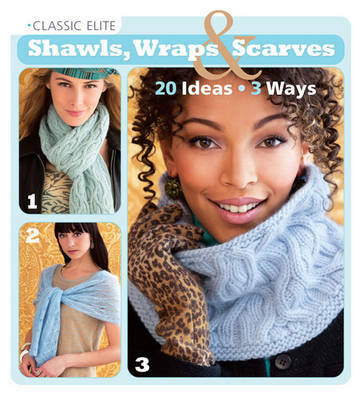 From Classic Elite Yarns comes an all-new collection of projects both stylish and practical. Each of the 20 stunning designs comes with three variations - shawl, wrap and scarf - for a total of 60 lovely accessories that showcase a variety of stitches. And every one is created with Classic Elite's luxurious high-quality fibers, including cotton, wool, bamboo, angora and cashmere, as well as beautiful blends.